There are quite a few available options, ranging from a heated steering wheel to massaging seats. 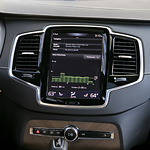 You will also have an infotainment screen and the ability to connect your smartphone with Android Auto or Apple CarPlay. Premium audio sound systems are available with up to 20 speakers, too.